Welcome to SJMS Community Group! The purpose of the St. Johns Middle School Community Group is to bring together parents, guardians, teachers, staff, students, and the community of SJMS for the benefit and gain of students enrolled at SJMS. We are excited to be the official community and parent support organization of St. Johns Middle School, and we look forward to working in partnership with YOU this school year. Busy? Not available during the day? Not available in the evening/night? Guess what! We want you on our communication list anyway. We'll share opportunities to support SJMS, and YOU can choose which fit your schedule and skills. 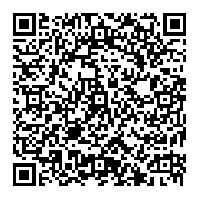 Click or scan our QR code (above) or click HERE to learn more about how you can help and contribute this year at St. Johns Middle School. There are lots of ways to support our teachers and students. We look forward to working with everyone to make this a great year for St. Johns Middle School students. Visit SJMS by clicking HERE.